The 2018 annual summit of the Virginia Academy of Science, Engineering, and Medicine will be held at the Science Museum of Virginia in Richmond, VA on November 7-8, 2018. This summit, the 6th annual, will address the topic Securing Prosperity in the Coastal Regions. VASEM and this event does not receive state or federal funds for operating expenses so our sponsors underwrite our events. 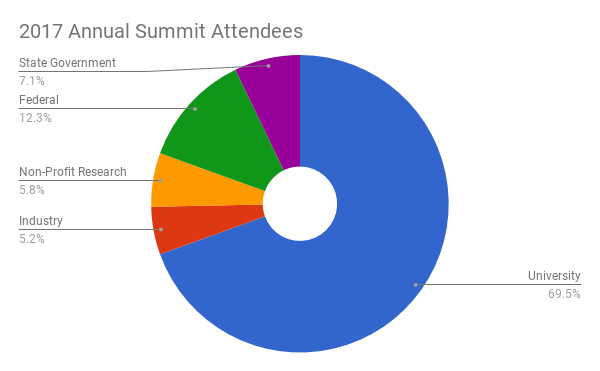 Here are some basic facts about sponsoring the VASEM summit. What is the Virginia Academy of Science, Engineering, and Medicine? VASEM is a 501 (c) (3) nonprofit comprised of the 140+ members of the three national academies – national academy of sciences, national academy of engineering, and the national academy of medicine. Election to a national academy is among the highest professional distinctions accorded to a researcher. Academy membership honors those who have made outstanding contributions to research, practice, or education, including, where appropriate, significant contributions to the literature of the topic and to the pioneering of new and developing fields of technology, making major advancements in traditional fields of engineering, science, or medicine, or developing/implementing innovative approaches to education. Beginning in 2018, VASEM will also include a small number of select national academy caliber individuals. VASEM and US Senator Mark R. Warner co-host each summit. Several VASEM members serve on the summit organizing committee, however, non-VASEM members are regularly included on the organizing committee. This provides the summit with the perspectives of both established researchers as well as the young, up-and-coming leaders in their fields. The three large research institutions in Virginia – VCU, VT, UVA – take turns at staffing the chairs of the summit committees. Here is a list of the past summits and their organizers. Attendance is by invitation only and is capped. Attendees of our summits include faculty and administration at research universities in Virginia, federal research institutes, private and non-profit research institutes, federal and state government policymakers, VASEM members and their protegees, and individuals from sponsor organizations.